EAST OF SCOTLAND CHAUFFEUR SERVICES *CHAUFFEUR DRIVEN LUXURY CAR HIRE* They say life is a journey, but at East of Scotland Chauffeur Services, we believe it's not simply about what you do, but how you do it. Our fleet of Mercedes cars provides the very latest in luxury travel, but it's our unfaltering attention to the smaller things that ensures a totally unforgettable experience. From wedding day to whisky tasting, golfing trip to corporate event, that experience begins with your very first call, and we promise to stop at nothing to make your journey exceptional. WEDDING CARS Your wedding day should be nothing short of exceptional. At East of Scotland Chauffeur Services, we realise that months, years and even lifetimes can be invested in ensuring your day is just right, and so we agree that preparation is everything. That is why we get to know you and your plans before providing an immaculately furnished Mercedes S Class limousine, tastefully adorned with coordinating floral displays and satin ribbons. On the day, our impeccably attired chauffeur will have your limousine arrive 15 minutes before the scheduled pick-up time, just to make sure nothing is left to chance. Following the ceremony, our car will be at your disposal for photographs and to transfer bride and groom to an alternative photo location if required, wedding reception and final journey to airport or hotel. East of Scotland Chauffeur Services can also accommodate your entire wedding party with a variety of Mercedes S Class limousines or V Class sedans. TOURS OF SCOTLAND From rolling hills and glens to rivers and lochs, city tour to coastal escape, Scotland's scenery is nothing short of stunning. This is a landscape envied the world over and, no matter the season or the occasion, this is a country just waiting to be discovered. At East of Scotland Chauffeur Services, we suggest you do so in style and, with our range of tours tailored to your specific requirements, we ensure every single trip is unique. With an exceptional knowledge of our tourist attractions, as well as some of our lesser-known spots, we promise to educate and entertain, and perhaps even part with a few secrets! SIGHTSEEING TOURS At East of Scotland Chauffeur Services, we believe your experience of Scotland begins with us, and so we take great care in suggesting a sightseeing itinerary that will suit your timescale, taste and budget. Whether this is your first visit to Caledonia, or we have the pleasure to welcome your return, we invite you to sit back and relax, while we help you create a myriad of memories that will delight for years to come. Our full, half day or multi-day tours offer splendid overviews of our cities, towns, countryside and coasts. From our incredible capital city, described fittingly as 'The Athens of the North' to golfing capital St Andrews, the breath-taking banks of Loch Lomond to our world-leading whisky distilleries, East of Scotland Chauffeur Services promise a level of style that will simply delight. 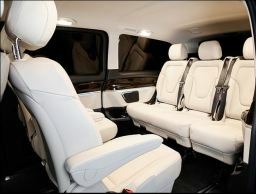 East Of Scotland Chauffeur serves are proud to offer Luxury Bespoke Tours for the deaf and hard of hearing community. ​​Qualified in British Sign Language. GROUP TOURS So much fun can be had when discovering Scotland with friends or family, and East of Scotland Chauffeur Services can bring a whole new level of style to your journey. From Mercedes Benz executive style S Class to spacious V Class sedan, our tailor-made tours can comfortably accommodate up to seven passengers. For that special touch, allow us to tailor your tour, and arrange exclusive visit, stay or dining experience from a variety of Scotland's historic stately homes and castles, or add to your personal experience by trying your hand at clay pigeon shooting, quad driving or archery. Our chauffeurs have a comprehensive knowledge of our history and geography, so you might be surprised at the amount you will also learn about our stunning surroundings as we drive. EXCLUSIVE TOURS & STAYS East of Scotland Chauffeur Services are honoured to offer our clients exclusive access to some of Scotland's leading historic castles and stately homes. Located within easy reach of Scotland's main cities and airports, yet set far from prying eyes, these luxury properties offer the ultimate high-end escape. Those seeking peace and relaxation can enjoy quiet walks within extensive grounds and fine dining by our executive chefs. Thrill seekers can push boundaries with blindfolded 4×4 all-terrain driving to hot air ballooning. From intimate family gathering to themed corporate event, whatever your taste, whatever the occasion, a variety of activities, limited only by your imagination, can be included within your bespoke itinerary. Day trip to short break or extended stay, with East of Scotland Chauffeur Services, everything is possible. CORPORATE TRAVEL SERVICES Good business comes down to creating a great first impression. At East of Scotland Chauffeur Services, you will immediately find that professionalism, punctuality and discretion are at our core. In striking silver with tinted windows, our fleet of Mercedes limousines and sedans set the perfect tone; ensuring luxury and privacy go hand in hand. To thank you for your continued loyalty, we are delighted to offer regular corporate clients preferential rates, and we are also happy to better any like for like quotation from any similar company or online booking service. East Of Scotland Chauffeur Services, Edinburgh, Glasgow, Stirling, Perth, Dundee, Aberdeen, Inverness. FINANCIAL ROADSHOWS If participating in a financial roadshow and working to a tight schedule, preparation is key. East of Scotland Chauffeur Services are your perfect partner. Simply inform us of your itinerary, and leave the planning to us. Upon your booking, you will receive an email confirmation of your driver's details. Your driver will then remain in constant contact with our main office to ensure a smooth service throughout. From initial pickup to drop-off at your destination, we will keep your PA informed of any delays or changes to schedule. Our chauffeur will also be notified of any weather or traffic issues that may affect your journey. All our cars come complete with complimentary 4G WiFi, allowing you to get on with business while on the move. 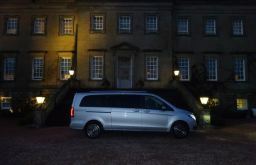 TV AND FILM TRANSPORT East of Scotland Chauffeur Services are no stranger to the world of television and film. Our extensive knowledge of Scotland's geography, culture and heritage can help you secure the perfect venue or location. We can also provide a range of vehicles, including Mercedes 4×4's and V Class sedans, to assist with transport of people and equipment. SPORTING & SOCIAL EVENTS Sporting event or social occasion, there's always something to be said for arriving in style. Give a rugby or football match a special edge, a music concert or black tie dinner a touch of finesse because arriving in one of our top of the line Mercedes S Class limousines or V Class sedans won't simply turn heads, but will turn your event into one you will never forget. TRANSFERS East of Scotland Chauffeur Services offer the discerning traveller an unprecedented level of service. Whether from airport or train station, our chauffeur 'Meet & Greet Service' ensures a relaxed trip in the knowledge that your driver will be waiting for you in the airport arrivals hall or on the train station platform. Your driver will text you in advance, keeping you informed of any unforeseen issues that may affect your onward journey. 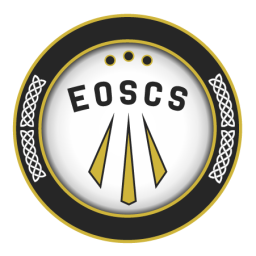 EOSCS Transfer Services is the perfect way to travel from city to city. Whether attending a function or going to a business meeting, we are proud to help you project the right company image. Our fleet of the very latest Mercedes S Class limousines and Mercedes V Class luxury people carriers offer an exceptional level of luxury and comfort. VIP TRANSFERS VIP clients arriving into Edinburgh Airport, or via Signature on private jet will enjoy a discreet first-class service to your chosen destination. With specialist knowledge of our roads and traffic conditions, East of Scotland Chauffeur Services ensure a comfortable and punctual journey. We also understand that plans can change, and so our drivers are happy to accommodate any last minute alterations to your itinerary. AIRPORT & TRAIN TRANSFERS Air and train travel can be tiring and time consuming, and so our airport and train station transfer services ease the entire process, greeting you on arrival, assisting with any luggage, and escorting you to your awaiting Mercedes. We monitor flight and train arrival times and allow for delays or disruptions so that no matter how your schedule changes, your chauffeur will be ready to assist. CONFERENCE EVENT TRANSFERS As major conference and event hubs, Edinburgh and Glasgow attract a global business audience. 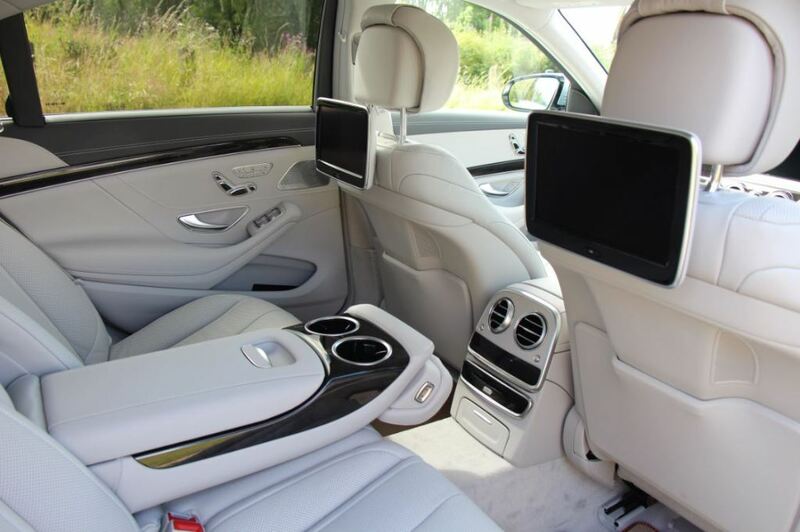 And so our fleet of executive Mercedes S Class limousines offer a first-class service, with complimentary bottled water, newspaper and on board WiFi to ensure you arrive at your destination relaxed, refreshed and prepared. 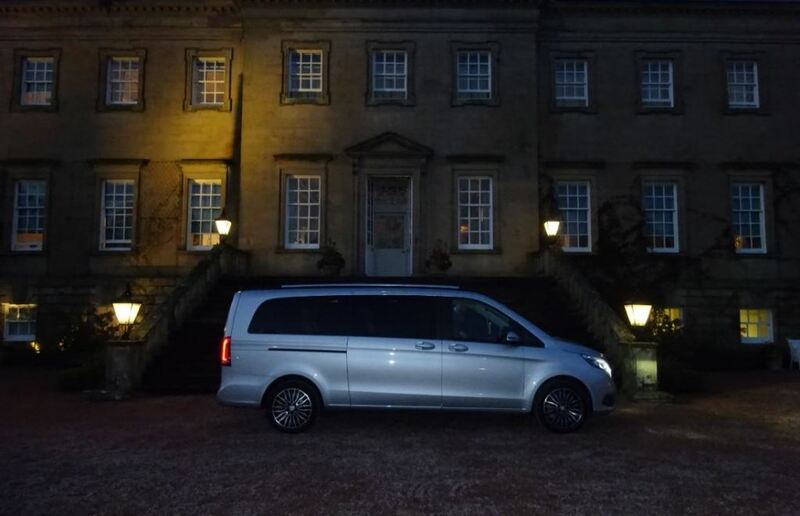 CORPORATE FUNCTIONS If planning a business function, East of Scotland Chauffeur Services can provide the luxury transfer services you deserve. Explain your requirements and itinerary to us, and we will ensure we deliver on every detail. On the day of your event, our chauffeur will message you on their arrival, and will return for pick up 15 minutes before your confirmed departure time. Complimentary bottled water is available on every journey, with a choice of newspaper supplied on request. MARKETING AND PROMOTIONS One-off marketing event or week-long conference, East of Scotland Chauffeur Services can provide the ultimate level of service. Our drivers are highly experienced in these fields and can assist with every requirement, from last minute changes to your itinerary to specific transport requirements. Our spacious, top of the range Mercedes V Class MPV's can also transport essential marketing or promotional materials and equipment to and from your event. CITY MEETINGS Business meetings can be highly demanding. 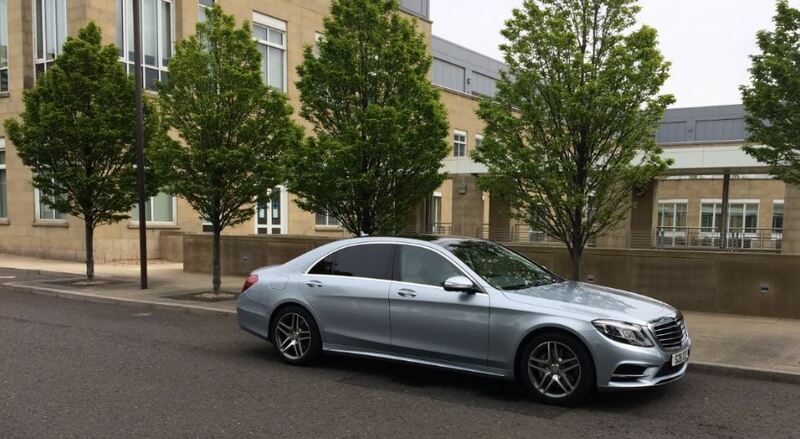 Allow East of Scotland Chauffeur Services to take you to and from your meetings in one of our Mercedes S Class limousines, providing you with a comfortable and totally stress free environment. Our fleet of executive cars are furnished with on board WiFi, allowing you to keep in touch while on the go. Complimentary still and sparkling water are also provided, with your choice of newspapers available if requested in advance. Our drivers have an extensive knowledge of the UK's business centres and will ensure you remain on schedule throughout your day. Drivers are kept in touch with any revisions to your itinerary and, where possible, all changes are happily accommodated. CHAUFFEUR SERVICES At East of Scotland Chauffeur Services, professionalism, safety, reliability, punctuality and discretion are at our core. From short airport or city-to-city transfer, tour of Scotland's breath-taking scenery to golf outing at Gleneagles, St Andrews or Turnberry, you can be assured of a first class service at all times. Ultimate professionals, our drivers are prompt, reliable and courteous and will be on hand to make sure your every requirement is met. East Of Scotland Chauffeur Services, Edinburgh, Glasgow, Perth, Dundee, Aberdeen, Inverness. East Of Scotland Chauffeur Services East of Scotland Chauffeur Services, Edinburgh's Premier Independent Chauffeur Company, operating our Luxury Car Service throughout Scotland. We provide a very reliable exclusive Chauffeur Drive Service to VIP Dignitaries, Corporate Companies, Financial/Investment Roadshows, Business Groups and Corporate Events, Visitors to Scotland, Private Customers, Golfing Tours, Wedding Cars. Safety, Reliability and Punctuality are our Keywords. Luxury Car Chauffeur Drive Service Scotland East Of Scotland Chauffeur Services, the Premier Chauffeur Company in Scotland. Client Safety, Reliability and Punctulity are our keywords that best describe the service we offer. WEDDING CARS by East Of Scotland Chauffeur Services Arrive in Style and Elegance in one of our Superb Latest Model top Of The Range Mercedes S Class Limousines & Mercedes V Class Luxury Seven Passenger People Carriers. 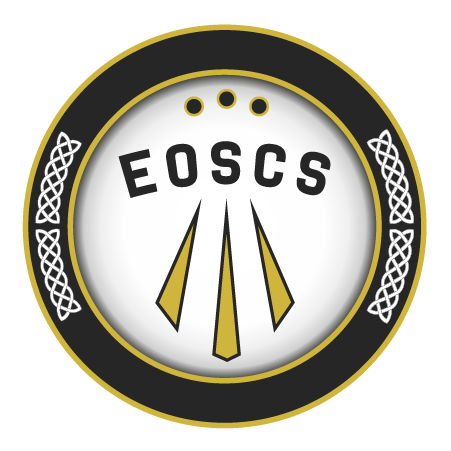 Testimonials are curated by East of Scotland Chauffeur Services and are not independently reviewed or verified. "We came back to India safely this week. It was a wonderful vacation for us. It was a special tour with you. We enjoyed every bit of Scotland, more so, because of your in depth knowledge of surroundings which you shared with us. We hope to be back again Scotland and see you again. We ‎shall let you decide the itinerary for us then and we shall just sit back and enjoy remaining Scotland. In case you happen to ‎come to Mumbai, India, let me know for sure. I would be happy to show you around in Mumbai." Grant and I would like to thank you for all you done on Friday. We had an amazing day which was helped along with your professional, laid back approach. The attention to detail and friendly service really did help to make our day special. The new Mr and Mrs Milne"
We arrived home on Friday evening; still recovering from jetlag. Thanks so much for a lovely, lovely tour of Scotland. You did a great job and all your efforts were very much appreciated. It couldn't have been better!